Many ‘alternative’ therapies work on the belief that it is necessary to allow the energies of the body to flow freely in order to attain health, wellbeing and happiness. Illnesses and stress can cause blockages, which prevent the energy flowing. The prevention of the energy flow exacerbates the illness or stress and so it becomes a downward spiral that is difficult to escape from. So treatment is based on re-establishing that flow. This is the basis for acupuncture, reiki, feng shui and crystal healing. As mentioned at the beginning of this article, this has been realized for centuries and the ancients knew that for the human body to function well, this vibration has to be correctly ‘tuned’. Just think of your body as a radio. When it is correctly tuned in, the sound is clear and easy to understand. If it’s not, the sound is muffled and indistinct. When you’re well, your body is ‘in tune’ and it’s out of tune when you’re ill or stressed. Unlike our bodies, crystals have a set formation so their vibration doesn’t alter. Their resonance is constant and so they are wonderful tools to help bring the bodies energies back into tune. 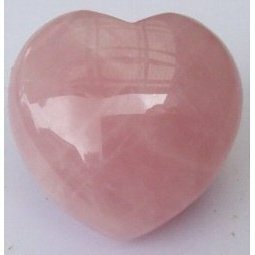 CLICK HERE to buy a range of healing crystals. It is all part of an individuals belief system. Healing with crystals is an ancient tradition. And our ancestors who were in tune with nature were more able to understand and apply the benefits of crystals than our supposedly sophisticated, technilogically advanced race. It is entirely up to the individual as to whether or not they believe crystals are beneficial to their wellbeing. Crystals give of a low powered energy that it is believe enhances the energy flow in the body. This is why people often feel better when they wear specific crystals in jewellery, close to their body. If you would like to read more about crystal healing, may I suggest the following website.